Rex & Kirsten married at Paradise Cove. Wedding by Rev. 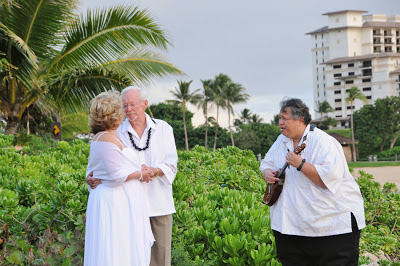 Kimo, photos by Robert Hamilton, Music by Bernard, and Video by Scott. 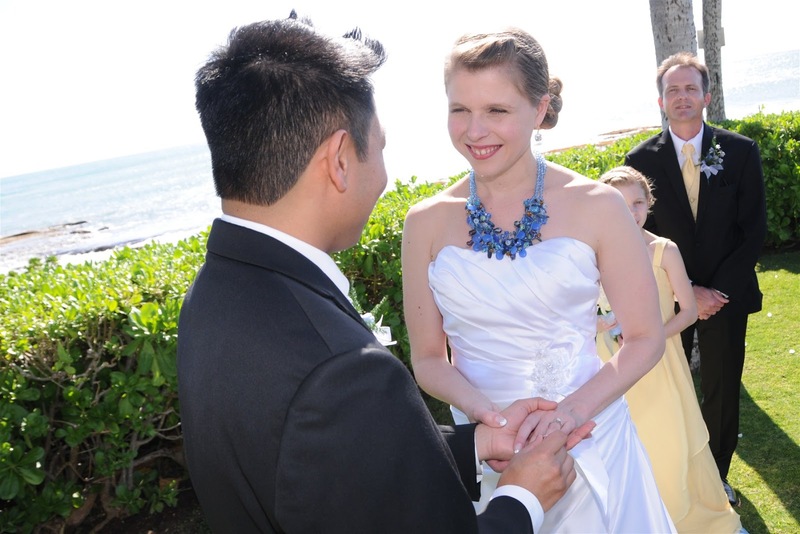 Paradise Cove is a private ocean-front Estate, perfect for Weddings with 20 to 50 guests. 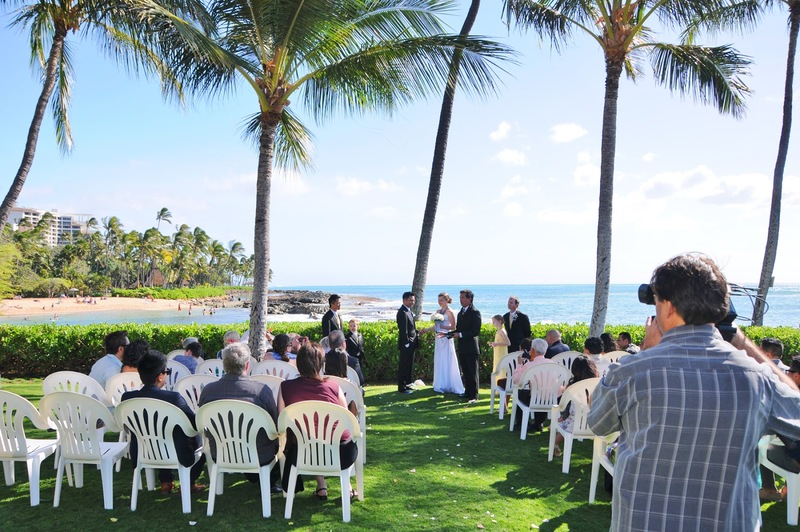 The scenery is absolutely stunning, and the property is secluded. 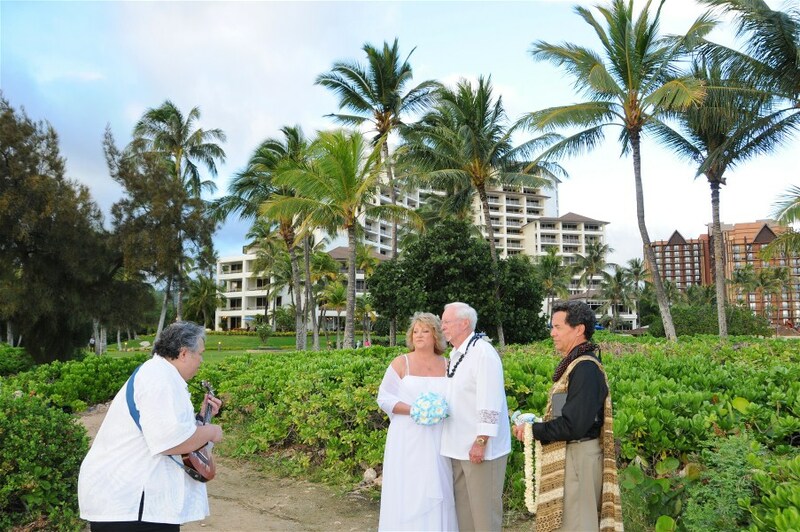 Stay for Dinner and enjoy the Paradise Cove Luau! 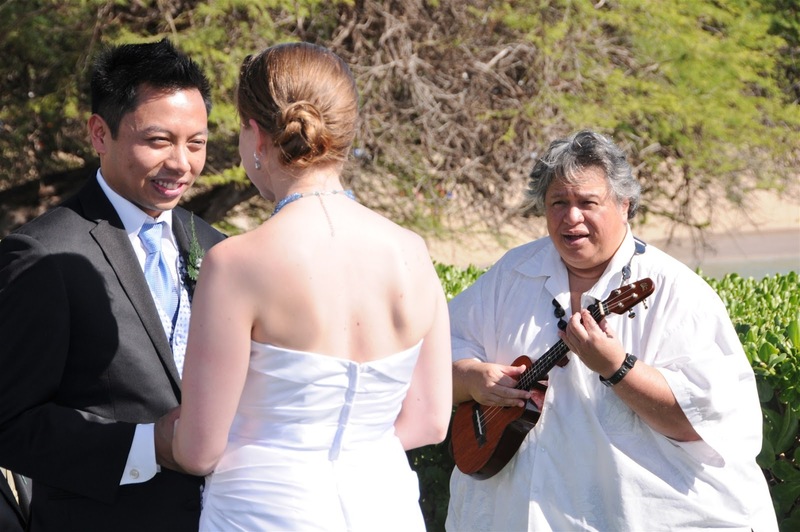 Bernard plays Ukulele Music at Paradise Cove Wedding. Chris & Nicole were blessed with a beautiful Ko Olina sunset on Valentine's Day. 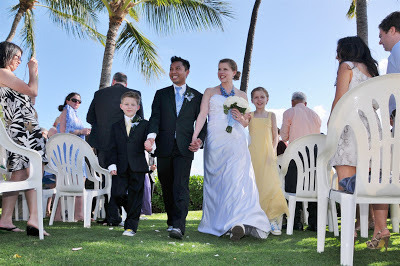 We hiked over the rocks to a nice hidden beach by Lanikuhonua Estate for Chris & Nicole's wedding on Valentine's Day. 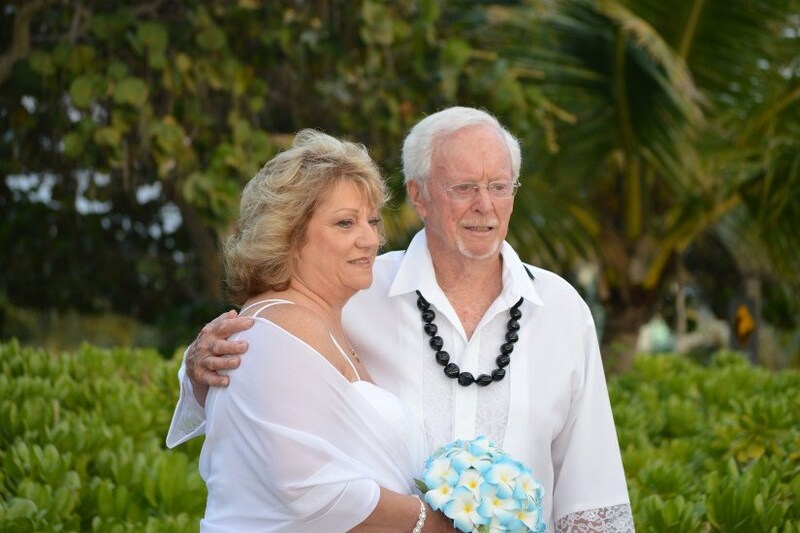 Leonard & June listen as Bernard serenades them at their Ko Olina Wedding.